The Indian Rhinoceros or the Great One Horned Rhino in north eastern part of India stands as a mark of great success in conservation. By the 19th century, this apparently pre-historic huge mammal was threatened to be extinguishing but serious efforts of Indian government and Nepal brought it back to our planet. Believed, 50 millions years ago, they were in abundant and had diverse kind of groups. Due to successive killings, now only 5 species of rhinoceros are left. Indian rhino is one of them and has large population. The Indian rhino is one of the five kinds of rhinoceros found in the world. It has a single horn 8 to 24 in (20 to 61 cm) long and is covered with a loose folds of skin which resemble plates of armor with rivets. The male generally weigh 1,800 - 2,700 kg while female 1600 kg. It reaches in height to 1.75 - 2.0 m at shoulders. 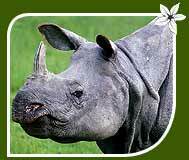 The physical colour of Indian rhino is brownish-gray, hairless, with bends of skin. 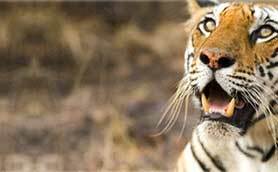 After their elimination from Hindu Kush in Pakistan and other parts of the country, they are now found in both the Himalaya and Indo-Burma Biodiversity Hot spots (Cons. Intl.) and the Terai-Duar Savannas & Grasslands Global 200 Eco region. 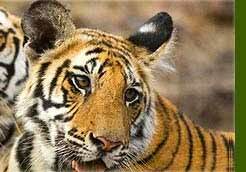 The majority of their population is concentrated in southern Nepal and northeastern India. 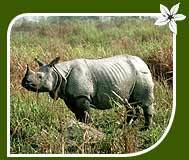 The main diet of Indian rhino is grass which also include fruit, leaves, branches of trees and shrubs, and cultivated crops. They usually drink very dirty water from streams, rivers, lakes puddles, or wallows.